World Cup champs were heralded today at a traditional Broadway "ticker-tape" parade--the first-ever female team to receive such an honor. Such parades have been a NY tradition since 1886, when Pres. Grover Cleveland dedicated the new Statue of Liberty. Since then, scores of politicians, sports champions, war vets and astronauts have glided down the parade route in Lower Manhattan, in an area now designated as the Canyon of Heroes. With the great abundance of ticker tape used by nearby brokerages, it became the medium of choice to use. These one-inch wide ribbons of paper strips were used to transmit up-to-the-minute stock prices from the floor of the nearby exchanges to brokers around the world. But with ticker-tape machines phased out in 1970, parade spectators make their own strips to celebrate with now. June 13, 1927: Charles Lindbergh is honored for the first solo nonstop transatlantic flight. October 19, 1960: Democratic presidential nominee John F. Kennedy and his wide, Jacqueline, ride up Broadway in a ticker-tape parade. November 6, 2009: The New York Yankees celebrate their 27th World Series title. 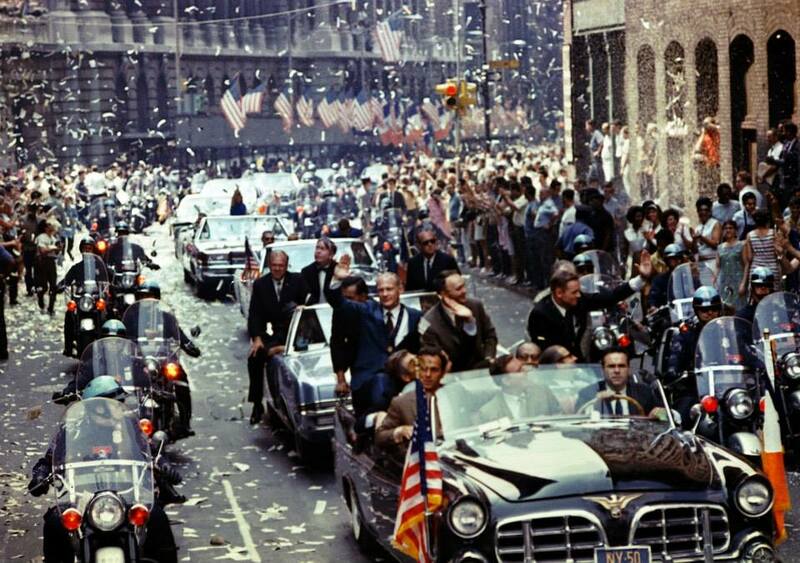 August 13, 1969: The moon men are welcomed home as New Yorkers pile into the streets to celebrate the Apollo 11 mission. June 17, 1994: The New York Rangers celebrate their 4th Stanley Cup title. 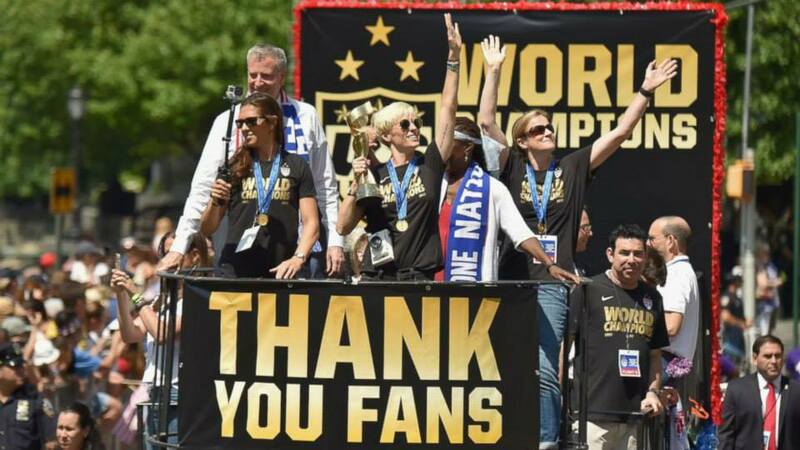 July 10, 2015: The U.S. Women’s Soccer team is honored with a historic ticker-tape parade. The parade marks the first time a women’s sports team is receiving a ride down the famous Canyon of Heroes.